[値下げ] Labels & Addresses | Mac App Storeのアプリ検索・ランキング BuzzMac! Have a large greeting card mailing list? Let Labels & Addresses help! 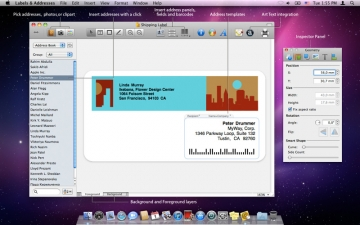 Labels & Addresses is a home and office tool for designing and printing address labels, envelopes, and greeting cards. It is also a powerful tool for generating industry standard barcodes. What can Labels & Addresses do? ● Speed up mass mailings. ● Design greeting cards for all occasions. ● Produce price tags with barcodes. ● Print various labels for home and office use. Labels & Addresses is seamlessly integrated with and can import contact information from Address Book, Numbers (iWork '09), Entourage, Excel, FileMaker, vCards, and tab-delimited text files. Simply import, choose a contact, and the address fields populate themselves. 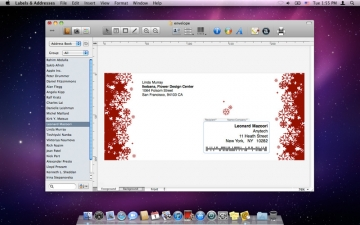 The mail merge feature makes it easy to create labels or envelopes for multiple contacts in just one batch. Create a print list from imported contacts and let the program do the rest. Labels & Addresses supports Intelligent Mail, USPS POSTNET, Canada Post, and Royal Mail barcodes on labels and envelopes to ensure fast delivery. The program can also format addresses for over 50 countries. 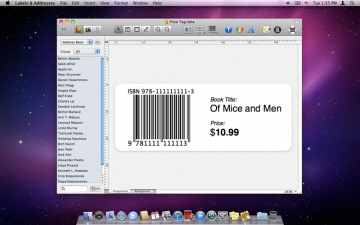 Creating barcodes for product inventory is fast and simple in Labels & Addresses. It supports Code 39, Code 128, EAN-8/13, UPC-A/E, ISBN, and Data Matrix barcodes. Data can be easily imported from columns of a text file. The program comes packed with a library of hundreds of supported label paper layouts and envelopes from Avery, APLI, A-One, Siegel, and many others. If you don't find the one you need, quickly create a custom template. Labels & Addresses also supports many popular label printers, including DYMO, LabelWriter, Seiko SLP, Brother QL, Zebra ZPL and EPL. 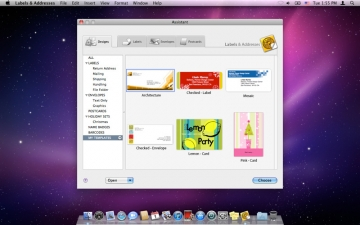 Open up the Assistant and choose one of many templates for return address labels, greeting cards, envelopes, and more. Want to design your own? 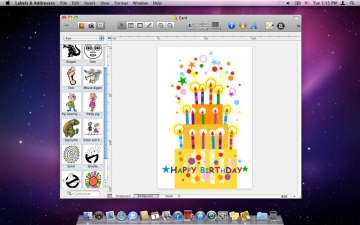 Take advantage of over 1,000 clipart images and the various design tools.